The Munch Madness 2014 competition is fierce with interesting food combinations duking it out to climb to the top. With sixteen strange combinations that you all insist are spectacular, this is sure to get interesting. I couldn’t wait to get tasting. My first match up was Cheez-Its with hummus versus a bagel topped with cream cheese and a cilantro grape puree. I routinely snack on hummus but usually pair it with sometime like carrot sticks or red pepper slices. 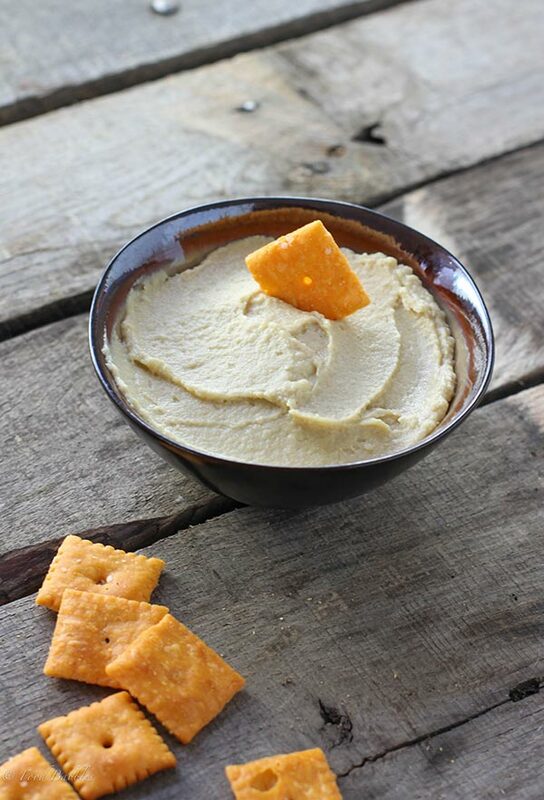 Cheez-Its are a popular snack in our house as well but never had I thought to dip the sharp cheesy crackers into my smooth hummus. Many thanks to whoever thought up this combination! So simple yet dip after dip, I could have kept on snacking on Cheez-Its with hummus. The slight cheesy tang of the Cheez-It crackers paired wonderfully with the nutty garlicky flavor of the hummus. This was definitely satisfying snacking! From there it was onto biting into that interesting bagel combination. When I read the description it said that this person likes to puree grapes with a bit of sugar and some chopped cilantro. 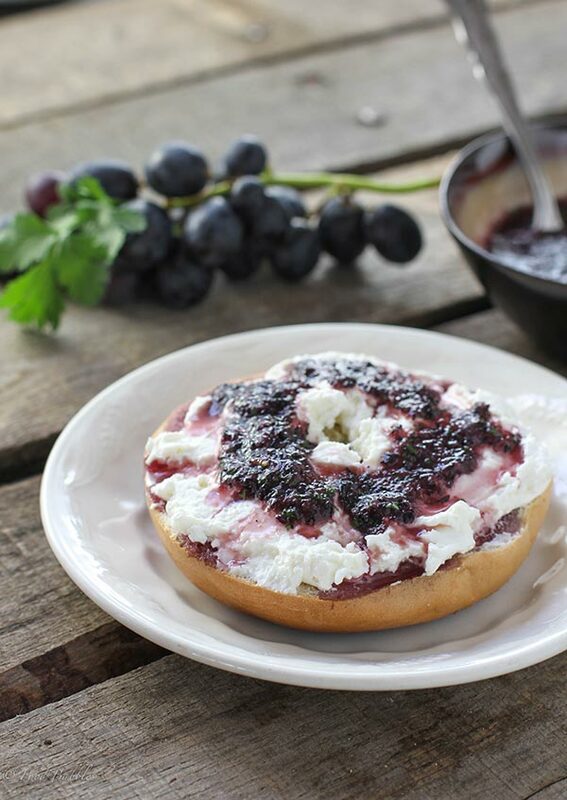 A bagel is then topped with cream cheese and the cilantro grape puree. Cilantro is the wild card in this combination and being such an acquired taste, this is the player that could make or break this combo. I toasted my bagel because I’m all about a golden bagel that’s crisp out and soft inside. Next I broke out my food processor and whirred together a cup of black grapes, a teaspoon of sugar and about 2 tablespoons of chopped cilantro. Without specific measurements, I was winging it and really wanted to make sure that cilantro flavor shined through. With my bagel assembled, the moment of truth had arrived. I bit in and I was immediately smitten! I wasn’t sure how the cilantro would work with the other players in this dish but they all come together to create a really pleasurable eating experience. The toasty bagel, smooth cream cheese and sweet grape puree was very reminiscent of a bagel with cream cheese and jelly but that cilantro comes through with a surprise “pop” of bright herby citrus flavor. In the end, there can only be one winner. 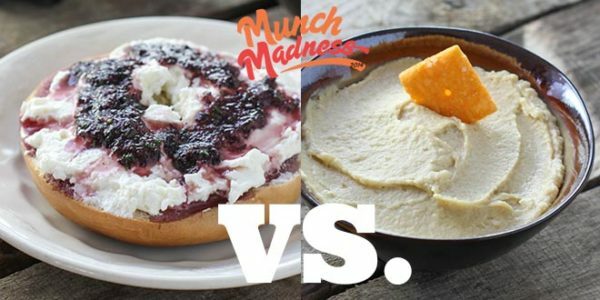 After much consideration, I have dubbed the Bagel with Cilantro Grape Puree as the winner! Having enjoyed both combinations very much, I feel that the bagel was not only tasty but it was very creative. Adding cilantro to my morning bagel with a fresh grape puree isn’t something I normally would have considered but now, I’m so happy to have discovered this tantalizing creation.